The 2016/17 Revenue Measures outlined to the House on the May 12, 2016, in which the Minister of Finance and the Public Service (MoFP) asked the Honourable House to consider an increase in the personal income tax threshold from $592,800 to $1,000,272 effective July 1, 2016 and to a further $1,500,096 effective April 1, 2017. The measure is recommended on the grounds that it will provide low income earners with additional disposable income. (1) An increase in the personal income tax threshold from $592,800 to $1,000,272 for year of assessment 2016. (3) The Income Tax Rate of 30% on statutory income in excess of $6,000,000. oThe Income Tax Act is amended to form the legislative framework. o Unless otherwise stated, all reference is to the Income Tax Act. Section 30 of the Income Tax Act will be amended to impose the tax rate of 30% per annum on income in excess of $6,000,000 and to provide for the increased threshold of $1,000,272 and $1,500,096 for 2016 and 2017 respectively. 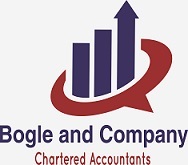 For more information you may contact us, here at Bogle and company or your local tax administration office.